I got my April TallyScrapper kit in the mail on Saturday and spent Sunday afternoon creating. It's been so long since I created a layout, I almost thought I forgot how to. 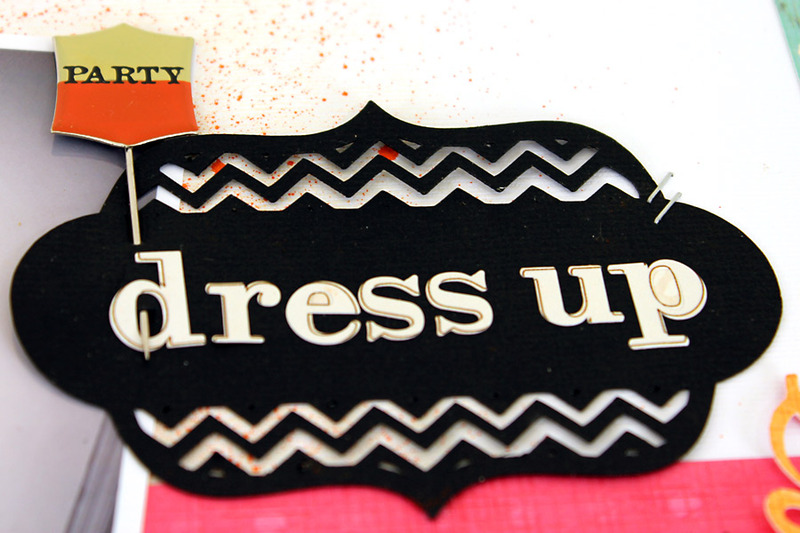 And, Paper Issues just hosted a new linky party for the next two weeks called Show me your Chevron!! I Adore Chevrons! I'm so happy that pattern took off. 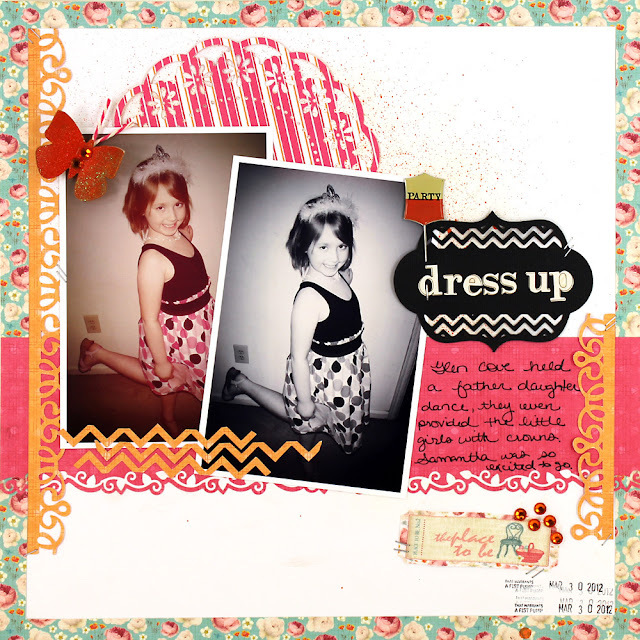 I used my Cameo a lot on here by cutting the doily behind the photos, the title tag (notice the chevron cut out) the orange border pieces, so much fun. With the kit came some smooch spritz in carrot cake.. such a zesty burst of orange! I used it to color a butterfly and spritzed a bit on the background cardstock. Go link up to Paper Issues and show them your chevrons!! AND... did you know that Paper Issues Etsy shop is all the time stocking the newest, greatest releases from the scrap manufacturers? Save 20% in the store by using code LEAH20 at checkout! This is BEAUTIFUL!! I loveeeeeeeee those colors and loving the photos --- loving how you did one b&w and one color!! So cool! I love all the cut-outs and the pops of color! Such a fun layout! aww your little one is so adorable...love your page layout..
Loving this layout! I can't WAIT to get my kit! Love your layout! Daddy & daughter dances are the best...such a special time!YOur daughter is beautiful! Love that you cut the chevron pattern in the title tag! 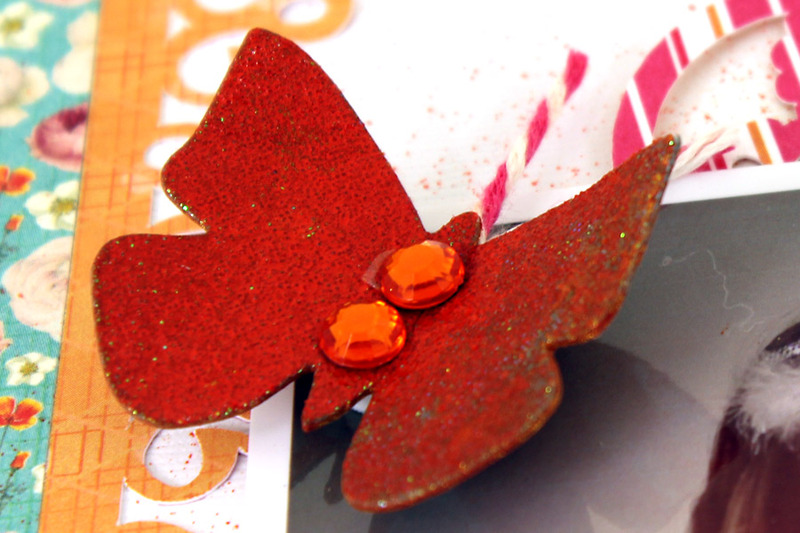 And the orange misted butterfly really pops! Oh, this is so sweet, the photo. And the layout is amazing! Love all of the colors and textures!